Few consumers say no to added value. When everyday purchases earn additional benefits, it’s hard not to get excited. Credit card rewards programs, active since the mid-1980s, remain a popular feature with Canadian shoppers. For those who don’t bother with coupon clippings or scouring sales flyers, rewards credit cards offer a low maintenance way to assure that something extra adds up, whether it’s through cash rebates, travel miles or rewards points. Retailers get behind these programs too. Many brands co-promote with the major credit card issuers to form plans that reward customer loyalty. Today we take a look at the state of the art in Canadian rewards credit cards — how they work as well as how to use them. These cards aren’t for everyone, nor are they all the same. Understanding how rewards cards work is the best way to decide if they’re right for you. A rewards credit card works the same way as a regular credit card. The difference is that purchases qualify for some sort of reward. The most popular plans feature points toward the card holder’s choice of merchandise or services, discounts or cash rebates on purchases and travel miles — special points redeemed for airline tickets. Some cards provide a mix of these options. A regular credit card won’t offer a rewards plan automatically. The consumer must apply for the rewards version of the card. It may come with additional fees. The cost of these fees must weigh against the value of the reward to establish if the plan is valuable. As well, interest rates and cash advance conditions may be higher than those of a regular or low interest card. Rewards cards work best for shoppers who clear their card balances monthly. When a balance accumulates, interest charges kill the advantages the rewards credit cards offer. Some rewards credit cards offer bonuses on all purchases made with that card. Others have categories, such as gas or groceries, that earn rewards. Still others have several levels — channels with higher discounts combined with a lower discount for other purchases. This provides “mix and match” ability for consumers with more than one card. Rewards plans fall into three general types, as we’ve seen already. Travel rewards credit cards: These return a percentage of purchases to the card holder as “miles” toward an airline ticket when the consumer reaches threshold levels. The consumer uses these rewards, usually in conjunction with a fulfillment specialist working in partnership with the credit card issuer. Points based rewards credit cards: Instead of miles toward air travel, the consumer builds points toward goods and services offers through a fulfillment company. These are “bought” using points or a points and cash combination. Cash back rewards credit cards: When a shopper wants to keep options open, there’s perhaps no better reward than cash. This class of reward credit card provides just that. Instead of miles or points, the reward percentage earned provides an annual or monthly cash amount. This started out as a cheque mailed to the consumer periodically, but now most often takes the form of a statement credit. In simplest form, rewards credit cards take a percentage of the amount of purchases made with the card and return that value to the card holder as a reward mile, point or rebate. As the rewards card process matured, levels of flexibility and complexity developed. For example, while some rewards programs offer benefits on every dollar spent, others specialize in particular categories, such as groceries or gasoline. These cards have a specialty purchase category. A credit card rewards program using groceries as its focus would issue rewards only on grocery purchases. Another grocery-based program may give rewards across a wider range of purchases, but the grocery category returns a higher percentage as benefits. Co-promotions are common too. For example, a grocery store could partner with a credit card provider to issue a rewards card that offers benefits on purchases made only at their stores. Strategic partnerships also exist. These bring unrelated and non-competitive companies into a rewards plan together. A grocery store may, for instance, partner with a gas station chain so that the rewards card not only builds credit with grocery purchases, but with gasoline purchases also. 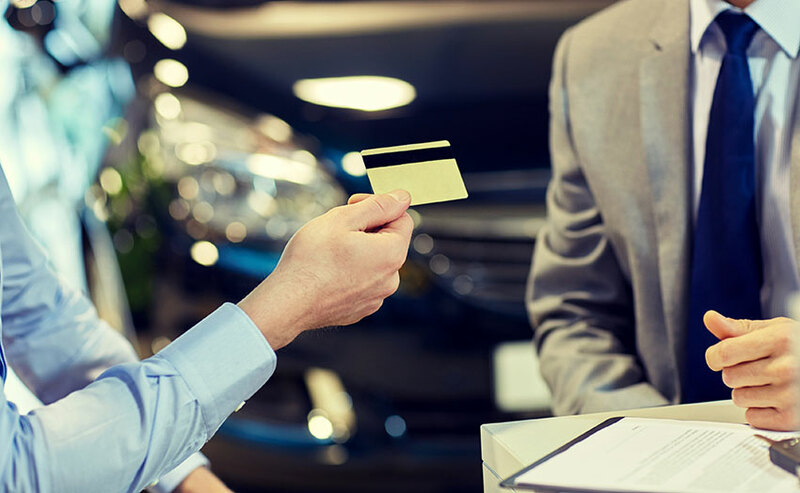 Credit card rewards programs that include gasoline frequently offer a cents per litre discount at the time of purchase, rather than building toward a reward further down the line. Rewards programs have, with the developed infrastructures in place to support them, crossed over, so that there are sometimes no clear lines between rewards types. A travel miles plan may also offer products and services on a points basis. Points cards may include gasoline discounts. Converting reward type from, say, miles to cash back may also be possible too, depending on the program. The beauty of rewards credit cards is their simplicity. A consumer simply makes purchases with the card and the rewards accumulate. This makes rewards cards popular with those who want discounts on their shopping, but don’t care for the hassle of chasing sales between stores or coupon clipping. Rewards cards that pay benefits on all purchases extend savings to spending that’s not typically discounted. For example, a shopper who pays utility bills with a rewards credit card effectively takes a percentage off the top of those bills through the value of their rewards. Once sufficient miles, points or cash has accumulated, the consumer then converts the amount to specific awards matched to their credit card. Some rewards cards also allow on-the-fly redemption, so you can use some of your accumulated total at the time of purchase to reduce the cost. Redemption options vary between cards. Rewards credit card programs resemble many points and miles card programs. At the essence, a rewards credit card works the same way, but it also encourages buying through the credit portion, which points and miles cards don’t provide. In fact, some rewards providers support both rewards credit card sponsorship and non-credit points and miles cards. Is a Rewards Credit Card Worth It? Rewards credit cards aren’t for everyone. Those who find these most valuable are those who pay card balances monthly. This is a key point to remember. Rewards cards often have higher interest rates on balances than other credit cards. When amounts carry over, the interest charged on the balance quickly kills the value of any rewards earned. The casual shopper, who reaches for cash and debit cards as readily as credit cards may not use a rewards card enough for full value. Some cards accumulate rewards at a lower percentage when monthly purchases fall below a threshold. These cards encourage moving more spending through the rewards program. That aspect — changing spending habits — could be trouble for a shopper who doesn’t stay on top of purchases. Rewards cards, with the promise of travel, goods and cash, may make spending more exciting. In turn, this could make spending too much a greater risk. The thoughtful spender who takes the drawbacks into account may well find value in a rewards credit card program. Planning is key. Staying on point with purchases remains crucial. For instance, using one rewards card only for gas and another only for groceries helps overall rewards earnings maximize. Matching the best reward returns with the proper category makes multiple credit cards a good thing. Provided that balances get paid on time, of course. Savings: No matter which reward plan a shopper opts for, purchases give back value on dollars spent. Plans fit various consumer goals: Whether it’s travel miles to assist vacations or points toward purchase discounts, a shopper chooses a reward program that meets their personal targets. Savings on non-sale items: Since rewards cards can pay benefits on all credit card purchases when that’s part of the program, using the card to pay for bills and items not on sale still generate savings. Carrying balances: Many consumers use credit cards to balance cash flow. Purchases are made today and the credit card balance gets paid off later. While that doesn’t affect rewards cards if paid promptly, carrying a balance incurs interest at a much higher rate than the reward offerings. Increased fees and interest: Rewards credit card programs frequently — but not always — come with higher fees for the privilege of using the reward program. If a consumer already uses a card with a fee, that may not be an issue, but previous users of no fee card must factor the additional costs against the value of the rewards available to them. Most, if not all, rewards credit cards carry higher interest, particularly when a consumer moves from a low interest, no fee card. This impacts the value of rewards anytime a card holder carries a balance over. Changed buying habits: Perhaps the biggest threat a consumer has when using a rewards credit card program is one of perception. It’s natural for excitement to build about the potential the reward program offers. Making the most of the plan often means changing the way a shopper makes purchases. Moving spending away from cash, cheque and debit payments to the rewards card increases the amounts qualifying for benefit. That’s reasonable and it makes sense. The danger comes when a consumer starts buying more in the hopes of earning more or bigger rewards. Since rewards earnings may be as little as one percent, this is a slow build. When extra purchases go beyond the shopper’s budget, they face credit card balances and shortfalls for other purchases. There are a number of ways a shopper can use rewards programs to maximize savings. The first step is, however, to identify the goal or target of the rewards cards. For example, if a consumer wants to build air miles, strategies are different compared with the shopper who wants to save money on grocery purchases. The consumer after the most cash back on all purchases has another strategy entirely. Consider these ideas to incorporate into your rewards plan. Find the rewards credit card that has the biggest discount on the purchases you make most often. Frequently, plans offering rewards on one or two categories of purchase offer higher reward rates than cards that cover all purchases. The key is the redemption percentage. This is usually one percent on the low end and up to six percent in some categories with specialty cards. Store-sponsored rewards credit cards may offer better than average rewards percentages. Look for rewards cards that pay the best returns on purchases you make most often. This may provide a better reward rate if your category purchases dominate. Someone who drives frequently and far may use a rewards card for gasoline savings. If a shopper’s grocery store of choice is just down the street, channeling all grocery purchases through that store and their rewards card makes sense. When a consumer has their heart set on a trip to Italy, miles cards make the most sense. If a reward program has the built-in dishwasher another shopper wants, then a points program is the best pick. Extra cash for Christmas shopping? Then cash back rewards cards are the way to go. There’s no need to keep only one reward credit card program active. For example, if one card pays a great return on fuel while another has the highest percentage for groceries, why not use both? It might mean two rewards or category streams, but at the end of the day, more of the money spent through the cards returns to the consumer as rewards. How to best redeem points remains up to the individual consumer. The rewards credit card program of choice may also affect how the shopper redeems. There are no external factors that affect the redemption of rewards points in Canada for personal cards without turning to a complex tax point. 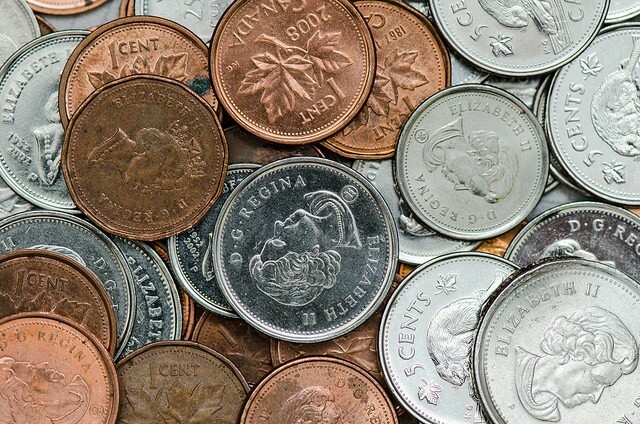 If a consumer uses a personal credit card for incidental business purchases that are later reimbursed, the Canada Revenue Agency clearly states that the business has no connection to the rewards earned. Any benefit received through these programs rates as a discount or rebate. Essentially, it’s the consumer’s own money coming back. A business cannot, however, arrange with the consumer for the purchase of all office supplies, for example. This would be a) a benefit to the consumer that should be taxed; b) a misuse of the rewards program in question and c) a potentially illegal tax avoidance scheme if the company offers this arrangement to the consumer without calculating it as a taxable benefit. The key to safe use is through the word, “incidental.” When a regular arrangement ensues, tax issues multiply. There is also a potential for taxation when the consumer converts a reward earned through employment related purchases into another reward format. Change miles to cash back and an issue may arise, even if an initial cash back reward is permitted.